Now obtaining property loan is easy as that, owing to the Property Loan Consultancy provided by Shree Bikaner Property. We are a Bikaner, Rajasthan based real estate company reputed for offering reliable and prompt Property Loan Consultancy to the valued clients. 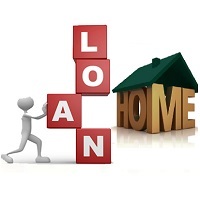 Our efficient professionals have years of experience in assisting the clients in obtaining property loan. This enables us in providing the clients with comprehensive guidance to provide solution for various property loan issues. We provide specialized services for obtaining Residential Property Loan, Commercial Property Loan, Home Loan and Loan against Property. We also have tie-ups with different leading banks such as HDFC Bank, DHFL Bank, etc. from where the clients can easily obtain property loan.